The 2020 Lexus GX 460 will join the market later this year, and this time we anticipate some mild upgrades. So, on the technology front, there should be more standard and optional features while the exterior could offer one or two new colors. It will return with the same engine like its predecessor, and inside the cabin, the new GX might get some upgrades with more quality materials. 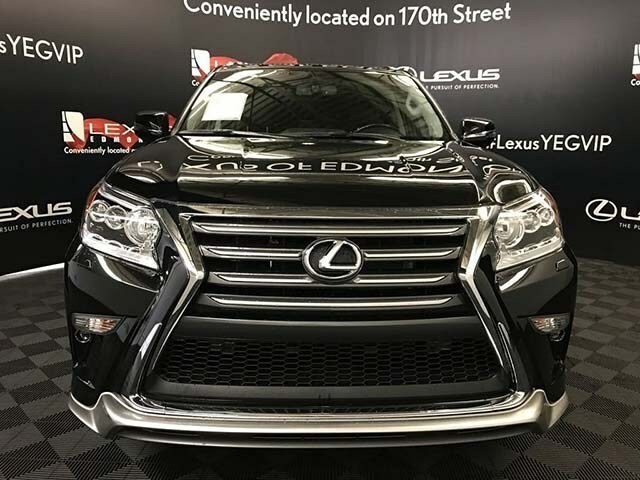 The 2020 Lexus GX 460 will get the power from the same engine which is found in the current model. And it is a 4.6-liter V-8 engine which is able to make 301 horses and 329 pound-feet. This powertrain will be mated to a 6-speed automatic transmission and the all-wheel drive system will be standard. Speaking of the fuel economy, it will be rated at 15 mpg in the city and 18 mpg on the highway. 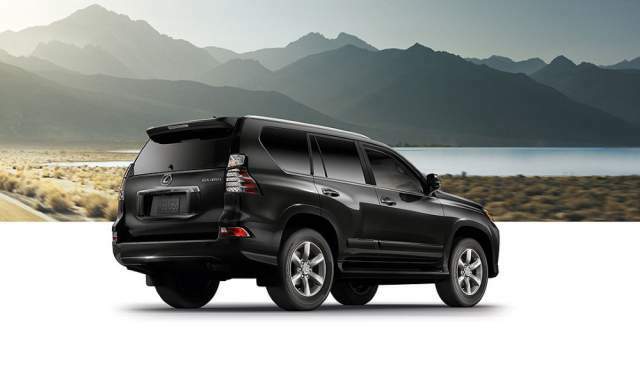 As for the towing capacity, the GX 460 will be able to tow up to 6,500 pounds. Regarding its styling, the 2020 Lexus GX 460 will feature the same tall and square shape. The front end looks modern and has the well-known spindle sharp grille and attractive headlamps. The exit and entry are high and the GX 460 has a side-opening arrangement for the rear door. Furthermore, it will ride on standard 18-inch alloy wheels. A three-row seating configuration is standard for the 2020 Lexus GX 460. So, it can place seven passengers. The comfort for the front and second-row seats is average while the third row is probably the most suitable for kids. The base and Premium models will get NuLuxe seats while the leather will be optional on the Premium and standard on the Luxury version. The dashboard is wide and comes with an 8.0-inch touchscreen for the infotainment system. All the controls are also easy to reach and use. 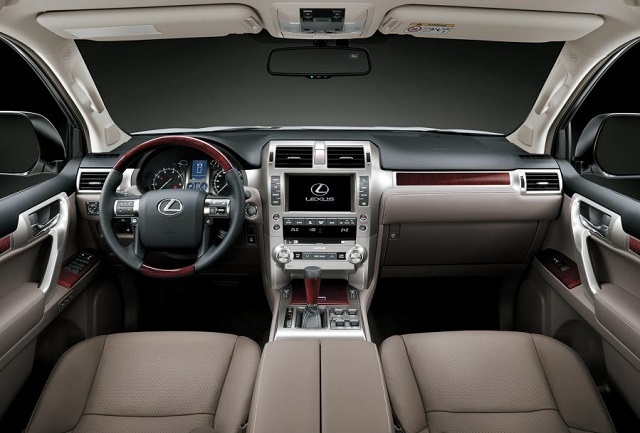 The standard equipment of the 2020 Lexus GX 460 will include a synthetic leather interior, wood trim, dual-zone climate control, power moonroof, 10-way power front seats, an 8.0-inch touchscreen for the infotainment system, an audio system with 9 speakers, dual USB ports, a rearview camera, Siri Eyes Free iPhone connectivity, power operated tilt/telescope steering wheel, and so on. On the safety front, there will be 10 airbags, active headrests, Lexus Safety Connect system with 24/7 emergency services. Furthermore, the Premium trim will add 3-zone climate control, heated and ventilated front seats, heated rear seats, LED fog lights, Intuitive Parking Assist, rain-sensing wipers, and interior air filter. The Luxury model will also include blind spot monitor, rear cross-traffic alert, adaptive variable suspension, leather seats, wood and leather-trimmed heated steering wheel, power-folding outside mirrors, and captain’s chair 2-row seating. Some of the options will be dual-screen rear-seat entertainment system, Mark Levinson premium audio system with 17 speakers, and many other items. The 2020 Lexus GX 460 should arrive to the market during this year, and most likely in the second half. The price should stay close to the current which begins at around $54,200 and goes up to $70,000.